Turnkey payment integration for software vendors who want to grow their business. Our Integrated Payments Platform can help you improve sales and merchant retention. You can simplify your business by working with just one company for all of your payment needs. With our proprietary Horizon™ Processing Engine, Quest™ Payment Gateway and Compass® Online Reporting Tool, you can offer a seamless customer experience using the latest technology for card-present and card-not-present transactions. 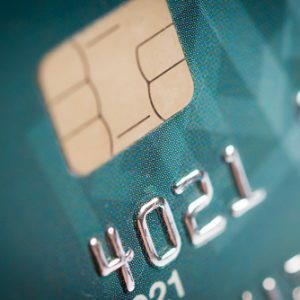 Clearent’s Integrated Payments take care of PCI compliance and EMV network certifications so you don’t have to worry about complicated data security solutions. Our layered security approach includes EMV and pre-certified EMV solutions, PCI-validated Point-to-Point Encryption (P2PE), PCI compliance, PCI scope reduction and tokenization. We offer multiple integration options such as semi-integrated EMV, developer-friendly API and Hosted Payment Pages. You decide the level of control you want over the customer experience and PCI responsibility. Our implementation manager will provide you with hands-on integration support to help you meet your goals. Our pre-certified EMV solution prevents you from having to endure lengthy EMV certifications with multiple hardware and software vendors. With our semi-integrated EMV solution, you can streamline the EMV migration process and save time and money. Clearent is one of the first adopters of the latest Quick Chip technology for EMV that reduces chip card transaction processing times from 15 seconds to 2 seconds. And you can choose from a variety of payment devices. PCI-validated Point-to-Point Encryption (P2PE) protects sensitive card data in flight and keeps it encrypted as it moves through the payment system, which makes the data worthless in the event of a breach. Tokenization can be used to replace sensitive card data with a token that is used for future purchases across all devices. Data is stored in Clearent’s secure card vault and reduces the ISV’s and merchant’s PCI scope because they are not storing sensitive card information. 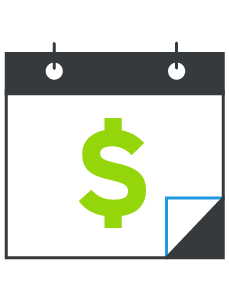 With recurring payments, your merchants can automate repeat payments or run ad hoc transactions without having to re-enter cardholder information. Our pre-certified EMV solution is PCI compliant, therefore the ISV’s solution does not need to be. It can potentially remove the ISV from PCI scope altogether. For your merchants, this reduces their PCI scope, making compliance faster, easier and less expensive. Your dedicated relationship manager at Clearent will be available to help you navigate any issue or opportunity. Your relationship manager will connect you with members of Clearent’s development, product management and marketing teams. With our teams behind you, integration is fast and easy. As a referral partner, you submit merchant leads to Clearent and we handle the sales, onboarding and ongoing customer service for their merchant account. This allows you to spend time on what you do best and leave payments to us. As your merchants’ transaction volume grows, so will your revenue. We offer payment devices from leading manufacturers. Allow your customers to choose the device’s connection type such as dial, internet, wifi, GPRS or Bluetooth. And allow them to choose the features they need such as contactless payments like Apple Pay and signature capture, among others. Payment integration without the security baggage isn't too good to be true. We make it happen.